Today we are pleased to bring you an insightful and compassionate conversation about heart, compassion, and kid lit from middle grade authors Sally J. Pla and Elly Swartz. Enjoy, and don't miss your chance to win copies of their debut books at the Rafflecopter below! Sally: Elly, what does it mean, to say that a book has HEART? Elly: To me, a story that has heart is one that touches my soul, floods my veins, and stays with me long past the last page. It is a book where I feel like I am wrapped in the main character. I breathe their breath, fear their fears and am blanketed by their joy. It is a story that moves me. Heart and soul. Sally: Beautifully put, Elly. I think heart books tend to be quieter, “inner” stories – but no less dramatic and dangerous than their big-action counterparts. You slip inside the skin of a new person and “become” them, see the world through their eyes, and it’s a revelation. You learn things… At the end, there is a feeling as if your very humanity is vibrating with a certain, new, joyous connection. You close the cover, and warmth just radiates from your heart. It’s my favorite feeling, from a book. It’s the main thing I’m after, as a reader. Elly: And most gratefully, there are many wonderful heart books. These are the gems that have tucked into my heart and influenced me and my writing: Mick Harte was Here by Barbara Park, Marcelo in the Real World by Francisco X. Stork, The Someday Birds by Sally J. Pla, Rain Reign by Ann M. Martin, Fish in a Tree by Lynda Mullaly Hunt, Counting Thyme by Melanie Conklin, Rules by Cynthia Lord. Sally: Thanks for putting me on that list, Elly. Finding Perfect is among my favorites, too. And I loved Marcelo. Also, Kate di Camillo’s Raymie Nightingale and Because of Winn-Dixie. 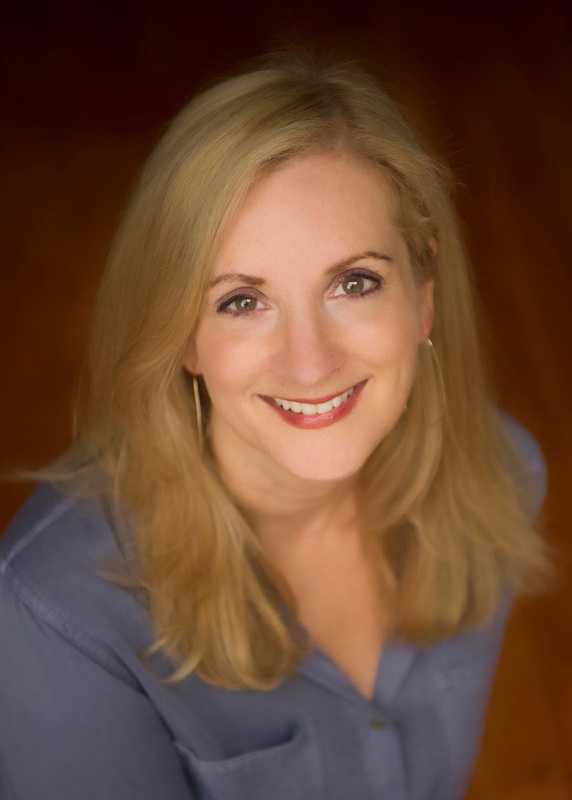 Rebecca Stead’s When You Reach Me… There’s Katherine Applegate’s The One and Only Ivan, and Richard Peck’s A Year Down Yonder… Also, R.J. Palacio’s Wonder. Woodson’s Brown Girl Dreaming… Some more debuts in this category – Train I Ride by Paul Mosier, Counting Thyme by Melanie Conklin, The Ethan I Was Before by Ali Standish. Elly: Sally, where can a heart book take the reader? Sally: I am a huge introvert. My books call out to kids who are different, who may have trouble fitting in. I think that quieter heart books can provide human connection for kids who can’t find it elsewhere – a sense of delight, of recognition, of realization you’re “not the only one.” A heart book takes the reader to a more humanly connected, less isolated place. I am a strong believer in the value of a book as a best friend. Elly: Agreed, Sally. A heart book can be that kind, understanding friend. The one who really sees all of you. And loves you still. The one who allows you to see yourself and recognize that you are not one thing. No one is just one thing. The heart book takes the reader to that place where you can truly feel, see, and understand yourself and others. Your mirror, your window, your door. What would you say are the true gifts of a heart book? Elly: I agree! Empathy and connection are a heart book’s true gifts. These books allow the reader to feel deeply. They allow the reader to experience something that may never touch them off the page. They allow the reader to connect. To the story, to themselves and to others. And in this connection, the reader begins to realize they are not alone. Never alone. Sally: And reading heart books is an activity that dovetails beautifully into the work of some valiant school organizations that promote empathy, compassion, and kindness. I’d like to mention a few I especially love: Kids for Peace, and The Great Kindness Challenge. They are both based near my hometown here in southern California, and I support their efforts wholeheartedly. There is also the "choose kind" initiative launched from R.J. Palacio’s Wonder... I know you, too, Elly, have been working, lately, with schools on kindness and compassion. Elly: Thanks, Sally. I love the organizations you referenced. They are truly making this world a better place one kind act at a time. And, yes, I’ve been working on promoting empathy and compassion in and out of the classroom through books and stories and the Unfolding Identity Project. Recently, I had the honor of meeting and collaborating with Scarlett Lewis, founder of the Jesse Lewis Choose Love Organization and Jimmy Sapia, an incredible educator implementing the Choose Love program in his 6th grade classes. This movement is where courage, gratitude, forgiveness and compassion come together. It is a movement that is sure to touch both hearts and minds. Sally: Elly, I am always amazed at the capacity for kindness in kids. It’s so encouraging to realize that these organizations exist and are thriving. For instance, more than ten million students took “The Great Kindness Challenge” last year! So here’s to the beauty of the inner quest. Here’s to the books that nourish us with positivity and compassion -- with stories for the soul. Thank you to Elly and Sally for sharing such an incredible and insightful conversation with us today! Make sure to enter below for your chance to win a signed copy of their books! 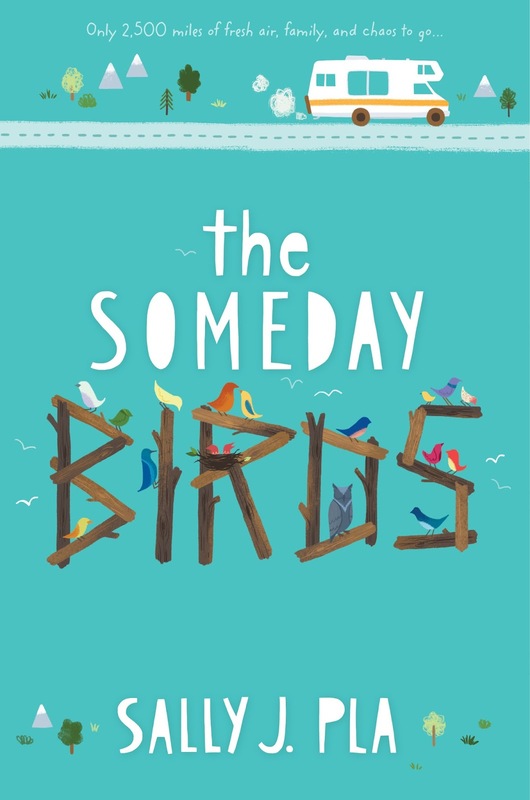 Sally J. Pla’s debut novel, THE SOMEDAY BIRDS (HarperCollins 1/17), is about many things, including war, chicken nuggets, OCD, rescue dogs, autism, un-extincting, and a cross-country quest for a mysterious bird guru. It’s a Junior Library Guild Selection for 2017 and a starred review in Publishers Weekly. Kirkus called it "hopeful, authentic, and oddly endearing." Booklist called it "a delight from beginning to end." Her second middle-grade novel, JOHN LOCKDOWN IS IN THE BUILDING, is due out from HarperCollins in early 2018. 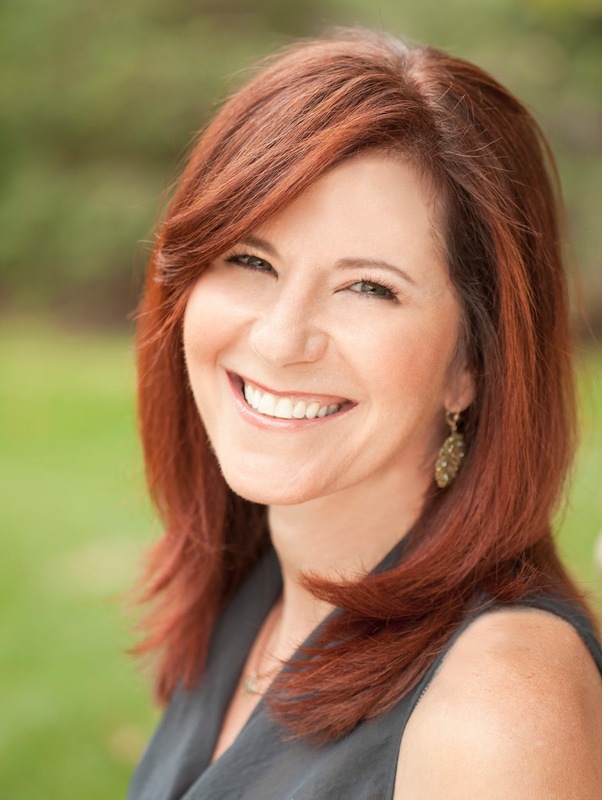 A picture book and a third novel are in the works. 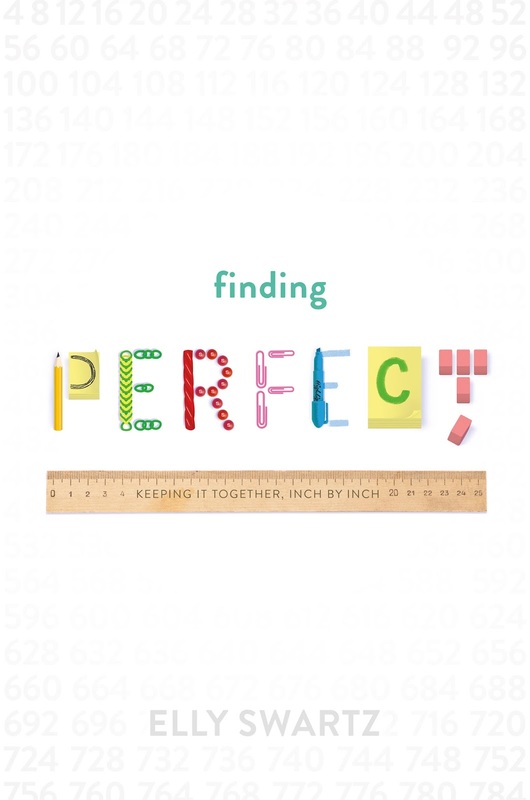 Elly Swartz’s debut novel, FINDING PERFECT (FSG 2016) is about a twelve-year-old girl named Molly, friendship, family, OCD, and a slam poetry competition that will determine everything. Her next mg novel, SMART COOKIE (Scholastic, spring 2018) is where you’ll meet the spunky and big-hearted Frankie, who is all about family with a dash of mischief and mystery! Elly lives in Brookline, Massachusetts, with her family. Okay. I wasn't following the instructions very well. I clicked on "Made a Comment" when I really tweeted about the giveaway. I forgot what I was suppose to comment on, but I think it was share your favorite book. If it is that, my favorite book is Walk Two Moons. If it is not that question, sorry. I loved Walked Two Moons as well -- a classic! Wish by Barbara O'Connor is one of my favorites. It is so heart-warming and just perfect! I love this post. Great suggestions about books and links to check out. Hi Lisa, and you are absolutely right -- Barbara O'Connor's WISH is a wonderful addition to the "heart" list! Would love to hear more suggestions! One of my favorites is A Crooked Kind of Perfect. I would say Because of Winn Dixie is my heart book. I love this blog post. Books with heart are my favorite kinds of books. I also want to recommend "Wish" by Barbara O'Connor, even though Lisa already did - my 9 year old and I loved that book. It didn't have a complex plot, but it was so beautifully written and it made a huge impression on my daughter and I. 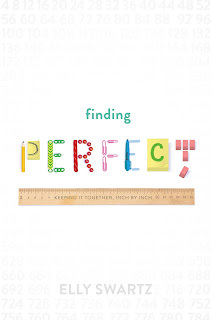 We are now reading "Finding Perfect" and I can see my daughter relating to Molly in many ways. 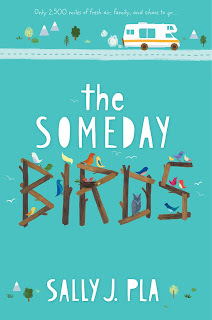 One more title I can think of that explores big themes like kindness, love, family, and interpersonal relationships is "Each Little Bird That Sings" by Deborah Wiles. That one literally stole my heart!